Bye-bye bundles? The move "won't kill off the cable industry" but it "could make bloated pay-TV bundles obsolete," writes David Lazarus at the Los Angeles Times. He calls Disney's venture "the most significant advance for cord-cutting" since the launch of HBO Now, given that Disney houses hugely popular brands including Pixar, Marvel Studios, and Lucasfilm. Not completely gone: Reuters notes, however, that discussions are underway between Disney and Netflix that could see Marvel and Star Wars films remain on Netflix after 2019. New streaming battles: But if pay-TV is doomed, this could be "the beginning of a new phase of the streaming wars," writes Erik Kain at Forbes. He predicts more entertainment companies will launch streaming services to vie for your dollars, which is surely going to be "annoying" for consumers trying to juggle them. Netflix is fine: Kevin Lincoln at Vulture writes that Netflix should be relatively safe thanks to its seemingly endless store of original content. (Its first-ever acquisition will help, too, notes Inc.) Lincoln takes a closer look at how Netflix got ahead of the game, though it had no original content five years ago. And he, too, sees a future "in which every entertainment conglomerate has its own service." What savings? 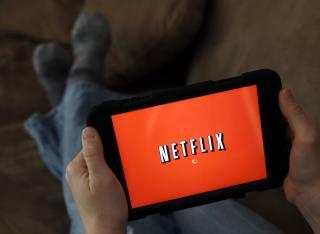 What if you want more than Netflix or any one streaming service offers? Expect to pay for it in coming years. The AP reports "the future of TV may well be a mishmash of streaming services that could rival the cost of a $100 cable bundle—but that are way more difficult to use." This could lead to more websites aiming to help viewers navigate their streams. Ditto: A post at Tom's Guide cautions that your wallet "could take a beating" in this brave new world. Even now, a diehard sci-fan might want HBO Go (Game of Thrones), Amazon Prime (The Man in the High Castle), Hulu (The Handmaid's Tale), Starz (Outlander), Netflix (Stranger Things), and on and on. Frankly Netflix is mostly a waste of time. Lifetime romance movies, old reruns of TV shows and other movies from 2007 and earlier. Netflix still has some very good content, but more and more of its films are spaghetti westerns, Japanese horror movies, and the leavings off the cutting room floor. Its like reading the label of a cheap loaf of white bread. Most of the ingredients are unidentifiable, and indigestible. If Netflix had serious competition, their customer base would drain away rapidly. I'm already tired of this Mickey Mouse streaming service.